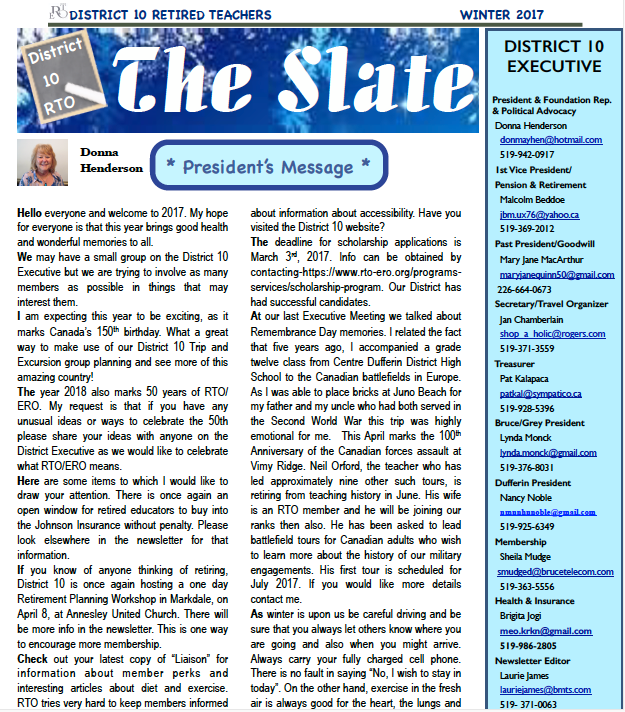 Our Newsletters are now available in Adobe PDF format. 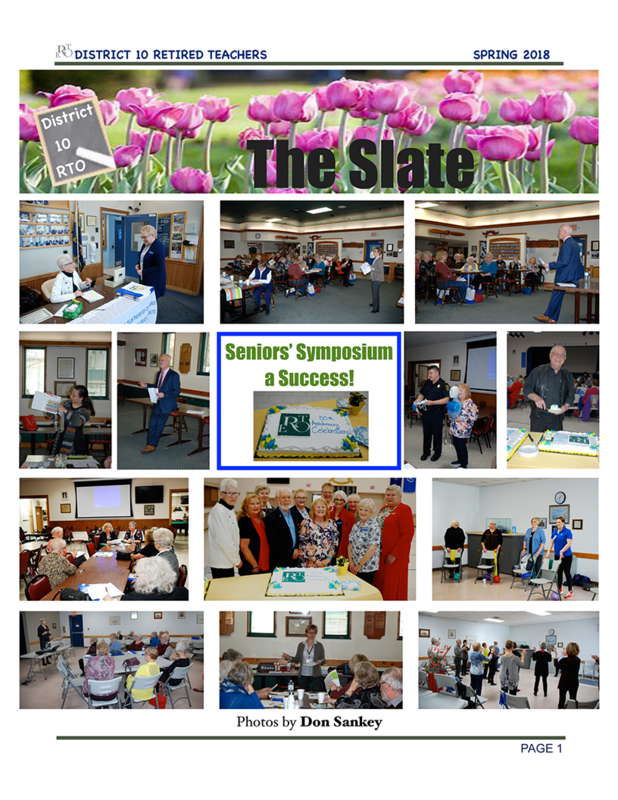 Please click on the images below to download and view a Newsletter. 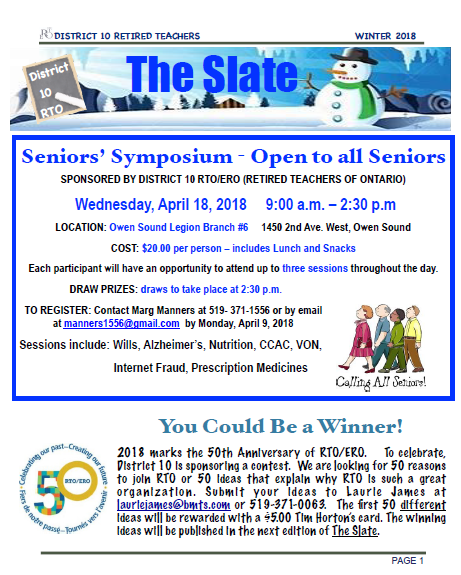 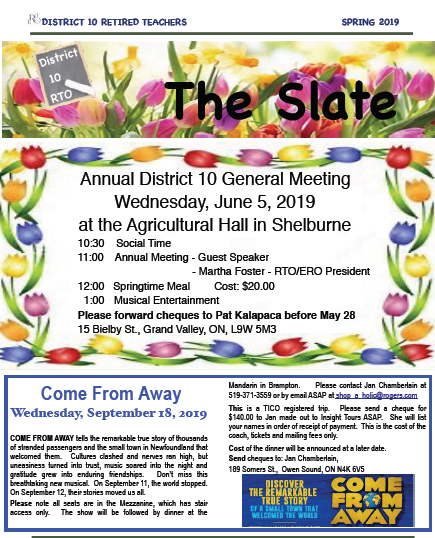 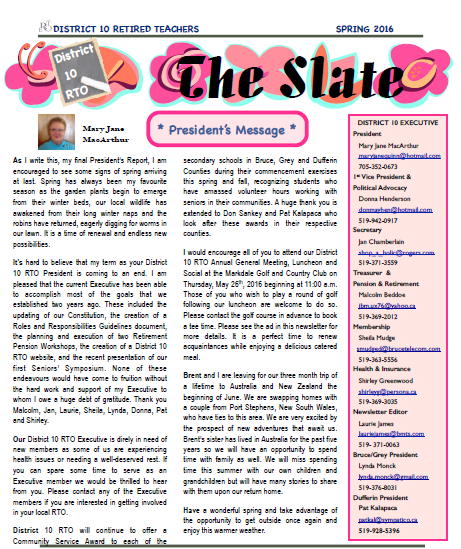 SPRING 2019 DISTRICT 10 NEWSLETTER "THE SLATE"
Please click here or on the image below in order to download/read the latest edition of THE SLATE. 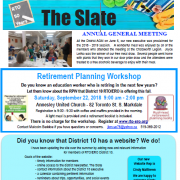 WINTER 2019 DISTRICT 10 NEWSLETTER "THE SLATE"
Please click HERE or on image below in order to download/read the latest edition of THE SLATE. 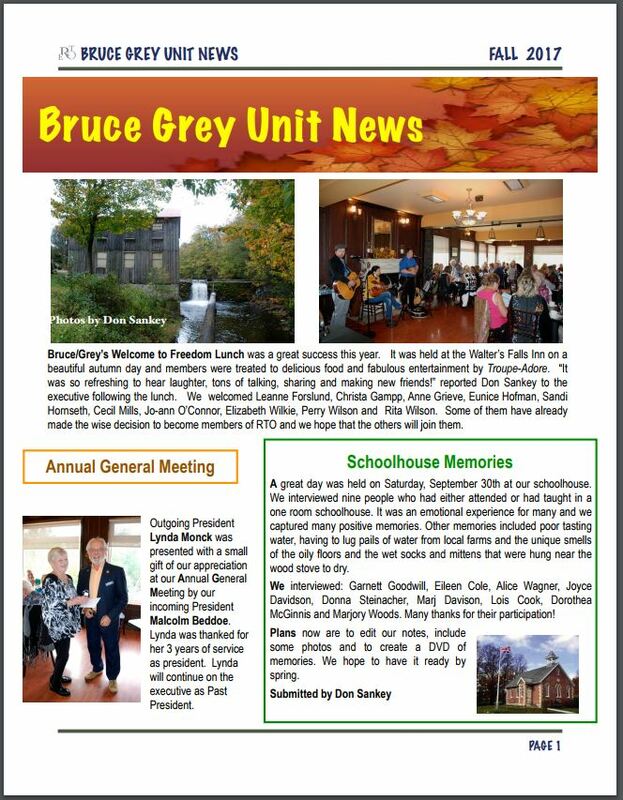 Please click HERE or on the image below to download/read the latest edition of the Bruce Grey News. 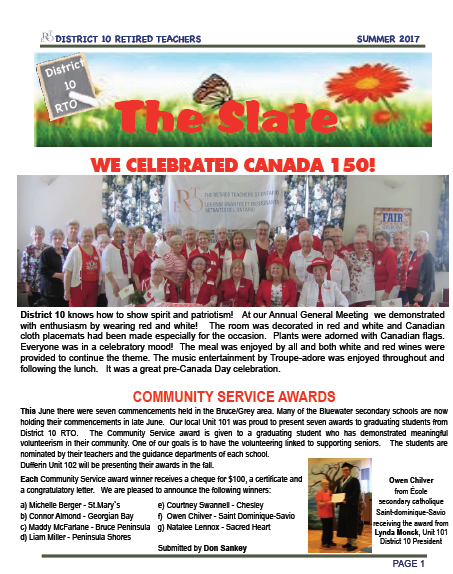 Please click HERE or on the image below to download/read the latest edition of our newsletter, The Slate. 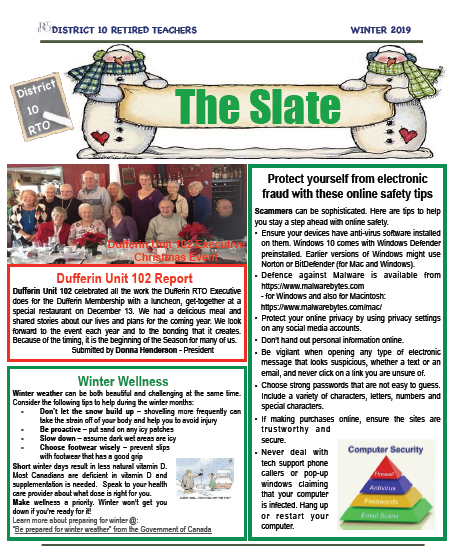 Please click HERE or on the image below to download/ read the newsletter. 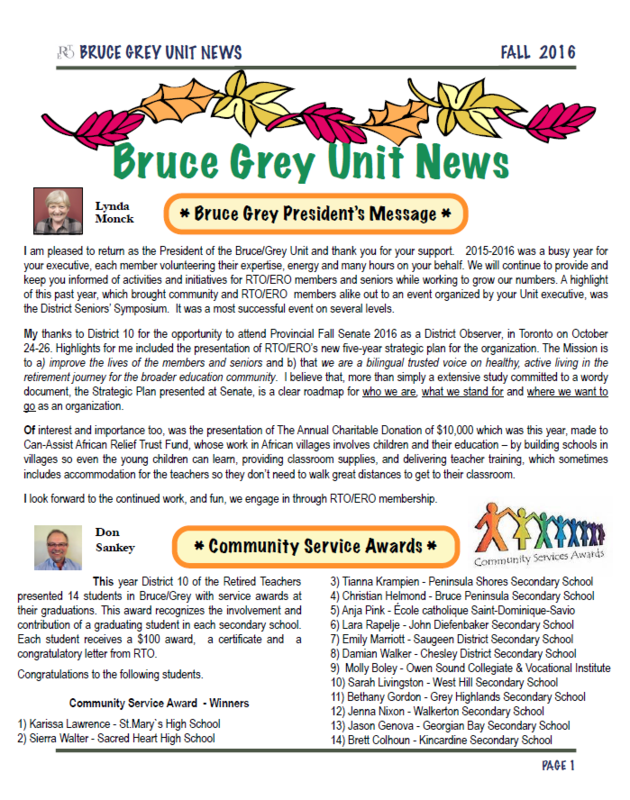 Click here or on the image to download / read the Fall newsletter. 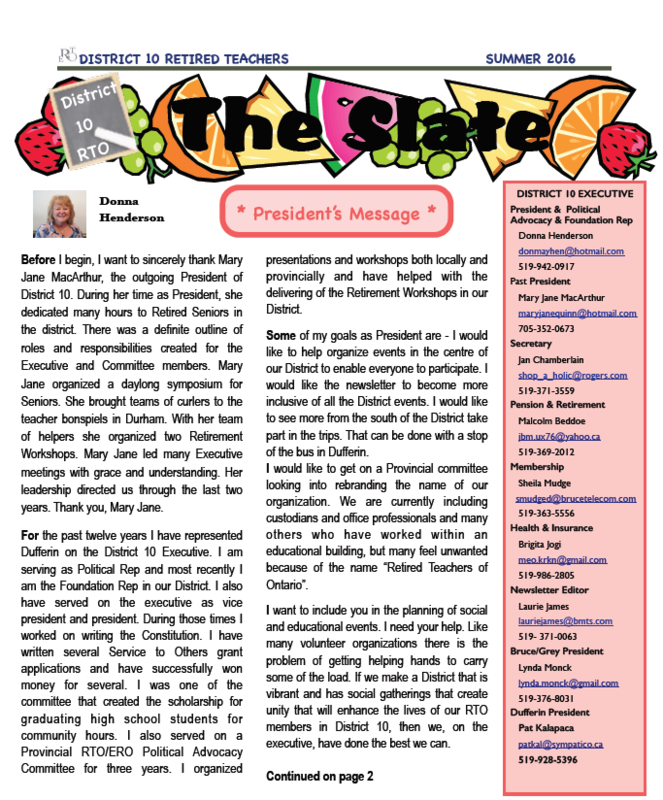 Click here or on the image to download / read the Summer newsletter. 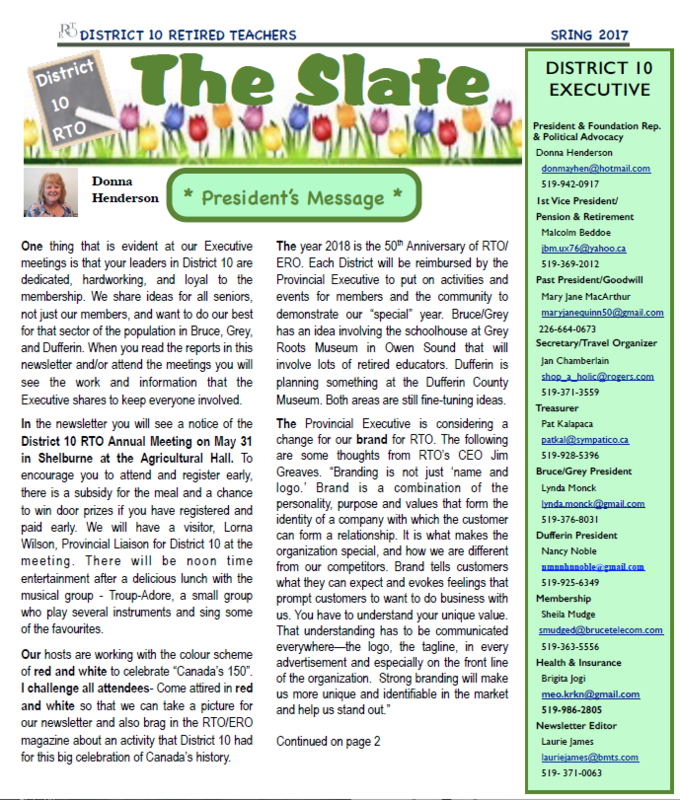 Click here or on the image for the Spring newsletter.